The United States Bankruptcy Court for the Middle District of Florida has adopted uniform Mortgage Modification Mediation (MMM) procedures. This program applies to all bankruptcy Chapters and all types of real property, commercial and residential. The MMM process has been streamlined to reduce costs, save time, and make it easier for the parties to facilitate a loan modification while a bankruptcy case is pending. Unfortunately, the MMM process can be complicated for Creditors to figure out and there are many procedural steps that they must follow. If you are a Creditor and find yourself involved in a mortgage modification mediation then it is a good idea to contact your attorney. 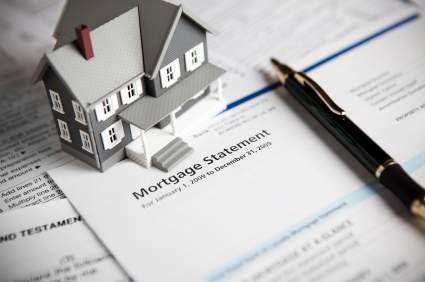 A request for a mortgage modification mediation is made by Motion which is usually filed by the Debtor though the request can be made by any party, including a Creditor. A MMM motion will be considered timely if it is filed within 90 days of the filing of a case. The Court will generally enter an Order upon the filing of the motion and without a hearing directing MMM, which puts the burden on Creditors that oppose the MMM process to seek reconsideration of such Order within 14 days. If a party seems MMM outside of this 90 day period then the Court will consider the motion to be “out-of-time” and will set if for hearing. Oftentimes a Creditor will attend the hearing to try to prevent the mediation process from proceeding further and argue that the Debtor’s delay in beginning the mediation process was prejudicial to the Creditor. Once MMM is ordered in a case, the next step will be for the parties to select a mediator The Court maintains a list of mediators who are qualified for this form of mediation and the parties are required to choose a mediator who is on this list In the event that the parties are unable to choose a mediator then the Debtor is permitted to select a mediator and the Creditor is permitted to object to the Debtor’s choice of mediator within 7 days. If such an objection is filed then the Trustee or Clerk will choose a mediator. The parties to the MMM are required to use a secure online portal for the purpose of transmitting documents and written communications between the parties to the mediation. The purpose of the portal is to maintain a record of what has been requested and provided between the parties and to maintain the records in a convenient online location. Creditors must register to be able to access the Portal and are expected to be familiar with how the Portal works in regards to uploading and downloading documents and reviewing and requesting documents. The next step in the process will be the mediation conference. The Creditor and counsel are ordinarily permitted to appear by phone at the conference. There may be multiple mediation conferences between the parties as there are often additional documents, explanations or disclosures that need to be provided after the first mediation. The Bankruptcy Court will not force any modification and will make no adjudication except with the consent of both parties. Any signed agreement reached at mediation must be approved by the Bankruptcy Court before it is binding and enforceable. Most often when a modification offer is made and accepted, such modification will be a two-step process consisting of a temporary loan modification (usually 3-6 months) followed by a permanent loan modification in the event that the Debtor makes the temporary loan modification payments timely. Court Orders approving both stages of the loan modification are necessary in order to be binding on the parties. If the Debtor is proceeding under Chapter 13 then the Debtor will be required to amend or modify the Chapter 13 Plan to conform to the terms of the loan modification. In addition, a Chapter 13 Debtor who is seeking MMM through the Plan filed with the Court must also provide adequate protection payments to the Creditor of the lesser of the contractual monthly payment or 31% of gross disposable income (after deducting homeowner’s association fees). Likewise, if the Debtor is proceeding under Chapter 13 and the mediation is not successful and no agreement is reached then the Debtor is required to amend or modify the Plan to conform to the Creditor’s claim, surrender the real property or provide for treatment “outside the Plan”. If the Debtor chooses to surrender the real property or otherwise treat it “outside the Plan” then the Creditor will have relief from the automatic stay on an in rem basis. The Bankruptcy Courts for the Northern Districts and Southern Districts have also adopted uniform procedures for mortgage modification mediations in cases pending in these areas. The MMM procedures for these areas are similar to the Middle District procedures though there are some differences, especially in regards to timing and the requirements of Plan amendment and modification. Creditors are expected to understand the differences between the Districts in regards to their MMM procedures. Your attorney will be able to notify you of these differences and assist you in regards to how to proceed in these cases. Please note that this is an overview of the mortgage modification mediation process in bankruptcy. The procedures in all Districts are lengthy and very specific and detailed. Failure to properly abide by these procedures may result in costs or sanctions being imposed so consult your attorney if you are a Creditor and find yourself involved in a bankruptcy mortgage modification mediation! Brad Hissing is a Bankruptcy Attorney with over 26 years of experience in representing creditors, Trustees and other parties in bankruptcy cases. He has extensive experience in Creditors Rights and Insolvency matters in both consumer and Chapter 11 commercial cases. He can be reached at BradH@whhlaw.com or by phone at (813) 676-9075.